Did you know that you can workout at home using the right equipment? If you are one of the many who are wondering about the best workout equipment to use at home, then the information below will undoubtedly be ideal. When it comes to working out, not everyone has the time to do it. The reason behind this is because of the busy schedule that people have. Some people enroll for a gym membership, but unfortunately, they don’t get to maximize it. If you are one of the many who ends up wasting their money on a gym membership that they don’t even use, then purchasing a workout equipment to use at home would be best. The first thing that you need to know is the budget that you have for the workout equipment that you are going to purchase. You need to know how much you are willing to shell out, just to get the right equipment that you will be using. Always put in mind that, “you get what you pay for.” If you are going to spend something on a cheap workout equipment, you should not expect it to last for an extended period. Investing in something that is a little expensive will surely make your workout equipment last longer. The next thing that you need to consider is the type of workout you enjoy. For instance, if you love lifting weights, then opting for something that will help you lift weights while at home would be best. You can purchase dumbbells or barbells if you have space. Now, if you are fond of running, then getting a treadmill will do. You can choose between getting a manual treadmill or an automatic one, depending on your budget. If you want to ensure that your entire body is moving, then an elliptical is ideal. If you are going to place your workout equipment in your room, then you need to make sure that it will fit perfectly in there. You need to make sure that you will be able to move in the space that you have at home comfortably. It would be best to measure the area that you have to ensure that the workout equipment that you are eyeing will perfectly fit in the room. Purchasing a workout equipment means that you will have to assemble it at home. If you are too nervous about assembling it, it would be best to opt for something that you can quickly assemble. But if assembling is not a problem, then you can just skip this tip. The last thing that you need to consider and do is to read reviews online. Almost everyone is leaving comments and reviews online and understanding them will help you decide if the workout equipment that you are eyeing is worth it. You’ll be able to read all the specifications, features, and how easy it is to assemble just by reading reviews. Outslayer 80 Lb. Punching Bag is made in the USA and is usually shipped in a heavy duty Vinyl cover to ensure that its quality will stay secured. The cover can also be used for storage and as well as for moving if needed. This punching bag has an MMA height of 44 inches and 12 inches in length for the straps. 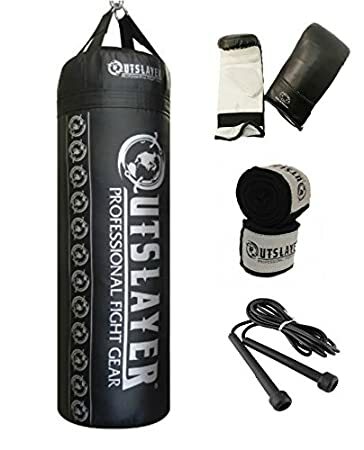 The outslayer punching bag is made out of a 300 lb. capacity material, which is only filled with nothing but fabric. One of the best things about getting a punching bag fro Outslayer is that it is high in quality. This means that you can use this punching bag for an extended period since it will last long. Another good thing about getting a punching bag is that you are not only using the bag to sweat but to hit something. This means that you can also relieve stress just by using the bag. 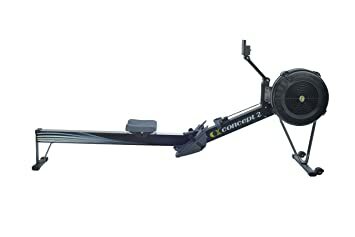 Concept2 Model D Indoor Rowing Machine is known to be one of the best selling rowers in the market today. It can deliver a cardiovascular workout that is effective. This means that the tone of your physique and your fitness level will increase. One of the best things about this workout equipment is that it was engineered efficiently, for it to last for an extended period. Another good thing about Concept2 Model D Indoor Rowing Machine is that it includes a monitor, which can be used efficiently and is very sophisticated. To increase the visibility, a backlight is installed. You can also store your workout data since it is compatible with most of the USB flash drive of today. When it comes to mobility and storage, you can easily store and move this workout equipment because of the quick release feature that this has. Lifecore Fitness Assault Air Bike Trainer is equipped with twenty sealed ball bearings all throughout the frame and the bike’s pivot points. This will undoubtedly provide a durable and smooth feeling. Your upper and lower body extremities will be able to experience an unlimited resistance, which is based on the Air Resistance feature of this bike. This means that this air bike trainer will surely provide you an entire Cross-Fit workout. 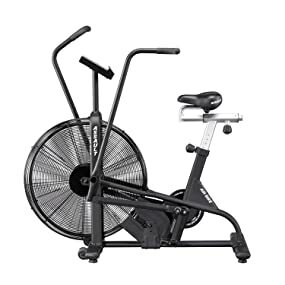 Another good thing about the Lifecore Fitness Assault Air Bike Trainer is that this is equipped with computer features and as well as programs that are motivational that provides programs, including heart rate, watts, intervals, and Tabata. These programs will ensure that you will be able to accomplish all of your fitness goals. The steel fan of this workout equipment can deliver a maximum resistance. Lastly, this air bike from LifeCore has a seat that can be adjusted in six different ways to ensure comfort while working out. Sole Fitness E35 Elliptical Machine can provide an amazing cardio workout with an LCD backlit display. The consoles and the pedals are adjustable, while the incline and stride can also be adjusted to a maximum of 22 by 22 inches in length. This workout equipment is consists of two heart rate and two custom programs. One of the best things about this workout equipment is that it has a chest strap and a pulse grip heart rate monitoring. The LCD console is equipped with a 7.5-inch display so you can monitor everything from heart rate to your progress. Another good thing about Sole Fitness E35 Elliptical Machine is that it has a water bottle holder and a sound system. Elliptical is perfect for people who are in need of a workout that is low impact. The reason behind this is because the gliding motion that it has can be light on your back pain and joint issues. This means that you have no reason at all to skip working out. These are the top 4 best workout equipment to use at home. For this set of review, the best one is considered to be the Sole Fitness E35 Elliptical Machine. Not only because it can provide you a total body workout, but it is also perfect for people who are experiencing back pain and any other joint problems. The cost may be a little high, but it surely is worth it.